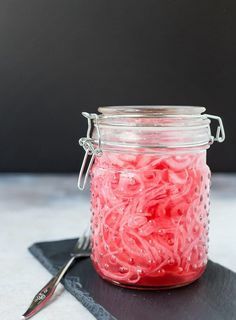 Quick, easy, healthy and perfect for those hot summer days, this is a favorite in our house! 1/4 cup fresh squeezed lime juice. Heat the olive oil in a large skillet. When the oil is hot, add the chicken. When the chicken is about halfway cooked, add the cumin, oregano, granulated garlic, chili powder, salt & pepper. When the chicken is close to done, add the lime juice to the pan and cook until the liquid has burned off. While chicken is cooking, prepare the pico de gallo by mixing the tomatoes, red onion & cilantro together in a bowl. 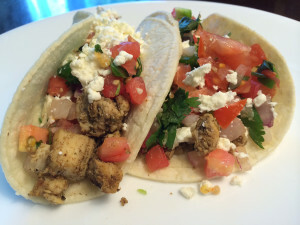 Assemble tacos with seasoned chicken, feta cheese, pico de gallo & chopped jalapeno peppers to taste.